Hi all- today's my actual birthday, so I'm off celebrating with my family. But I did want to let you know that I'm guest posting over at Handmade by Hilani today. 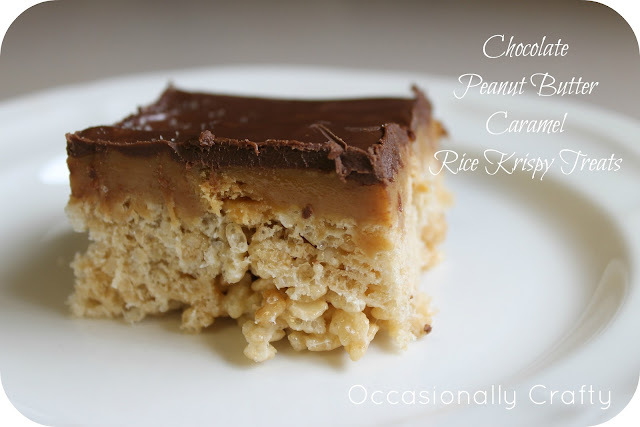 Go over and check out my Chocolate PB Caramel Rice Krispy Treats, especially if you missed them when I posted them here. They are delicious! Yum! Just read your guest post! Loved it!